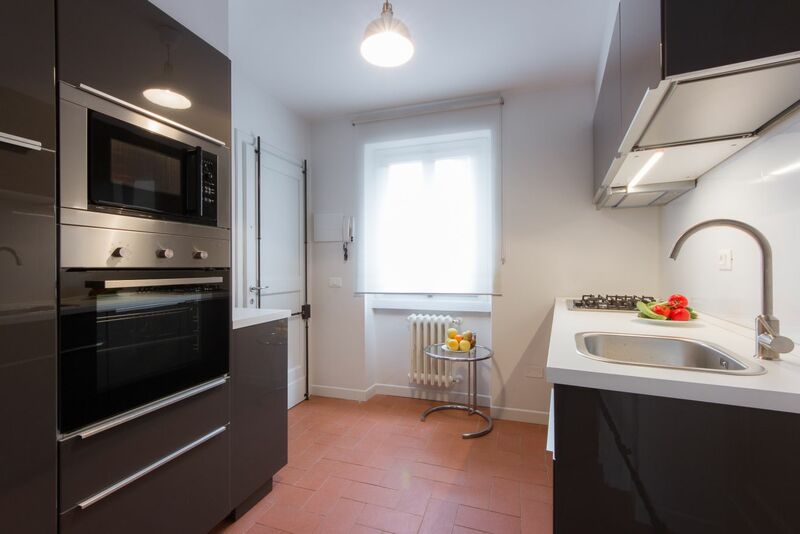 A gorgeous recently renovated 1-bedroom, 1-bathroom apartment in a quiet residential area right outside of the historic centre of Florence. 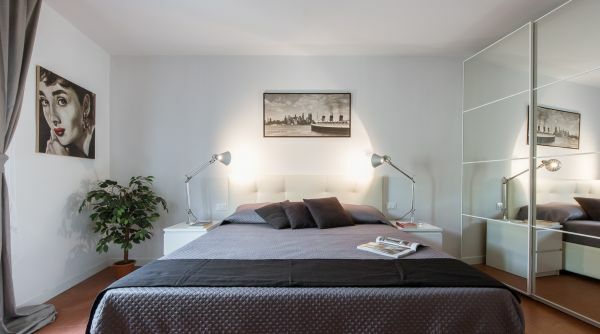 The location is ideal for medium – long term rentals. 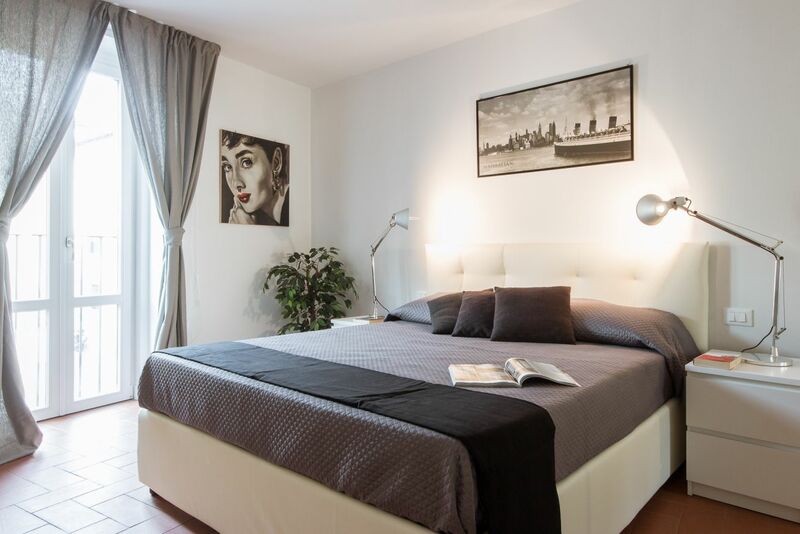 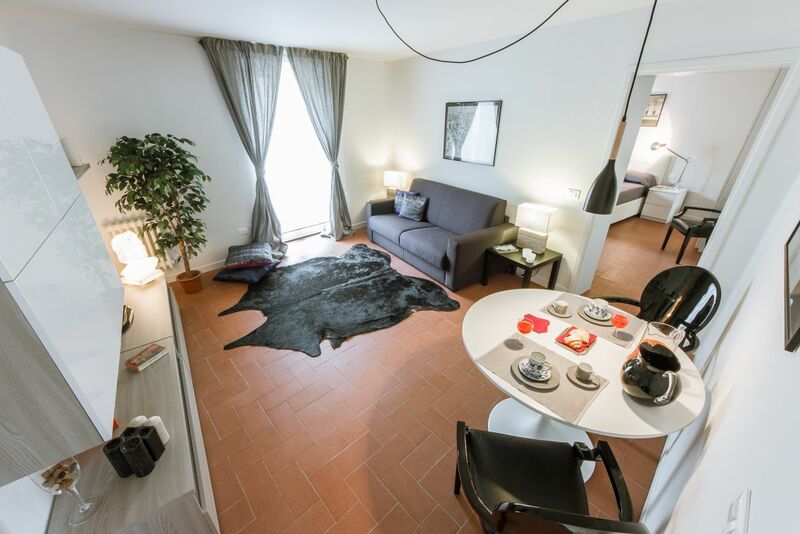 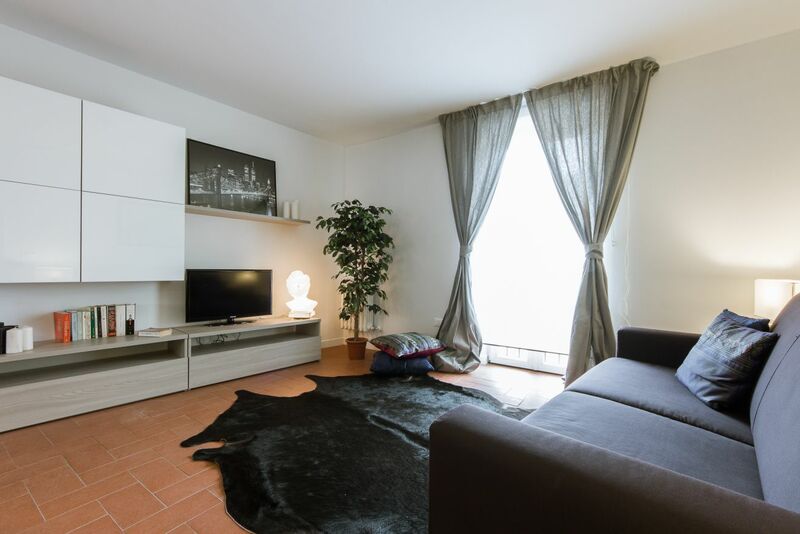 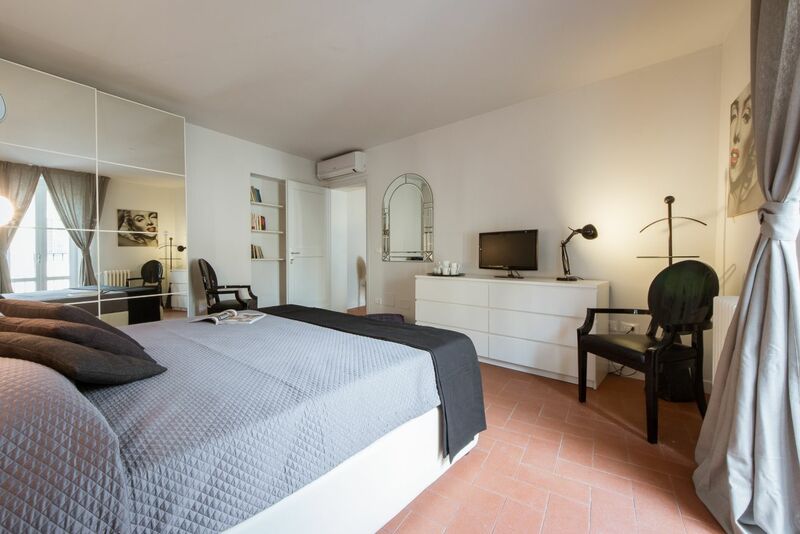 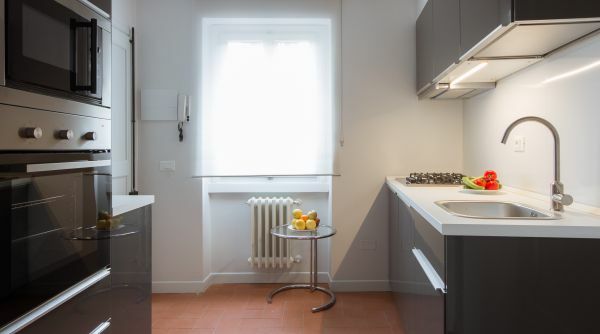 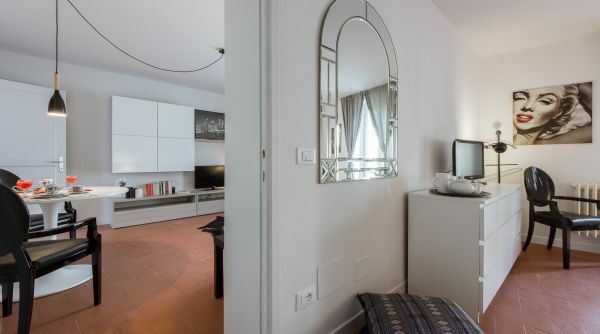 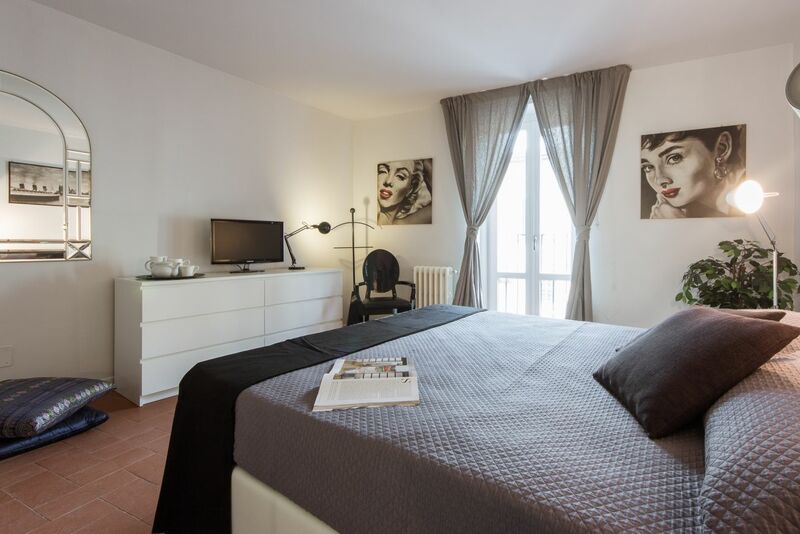 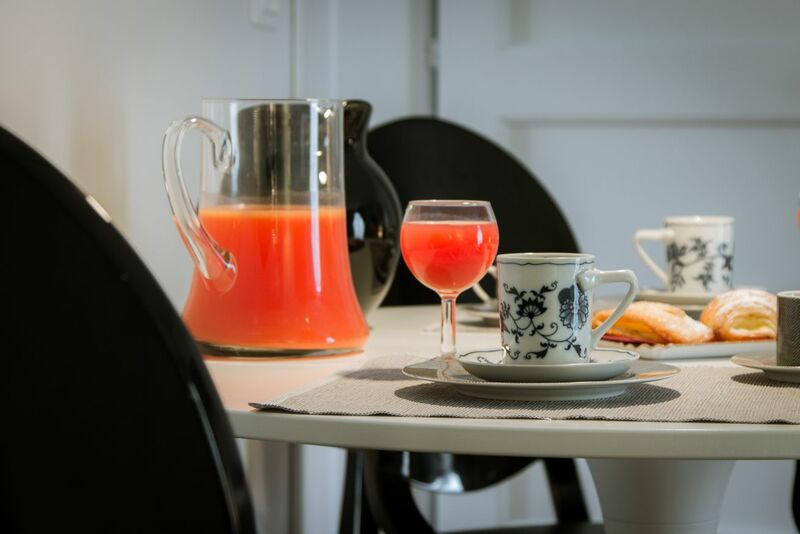 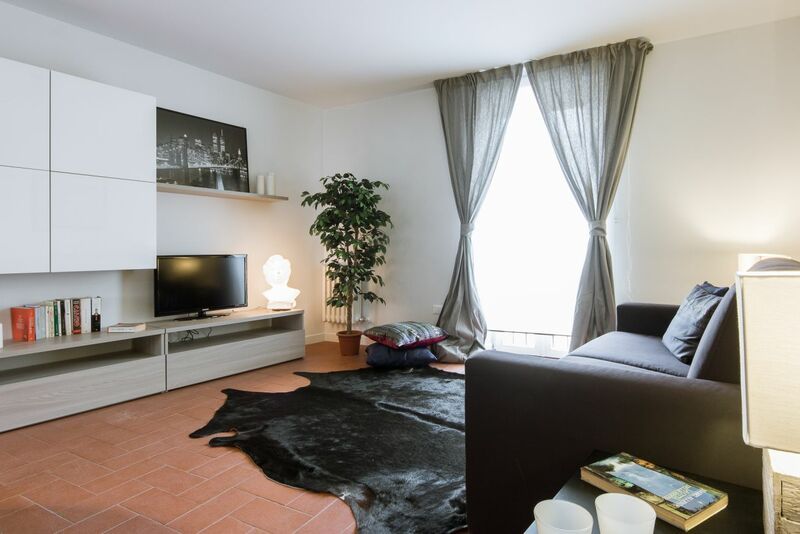 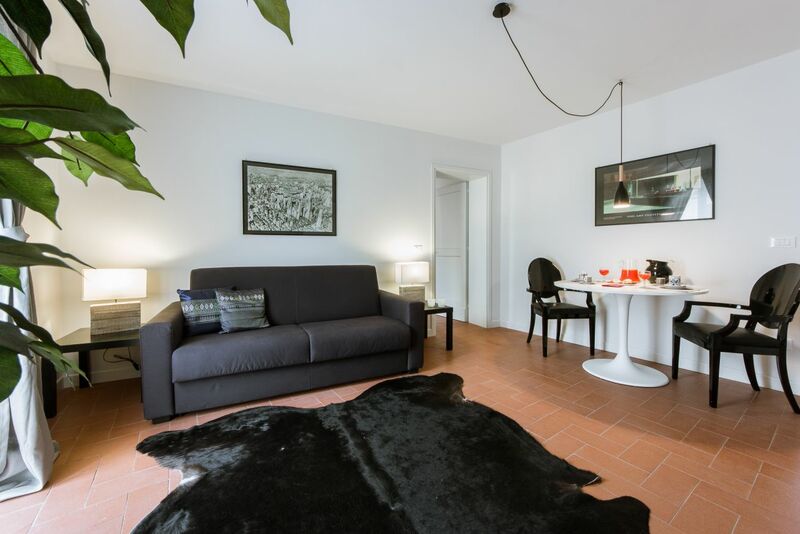 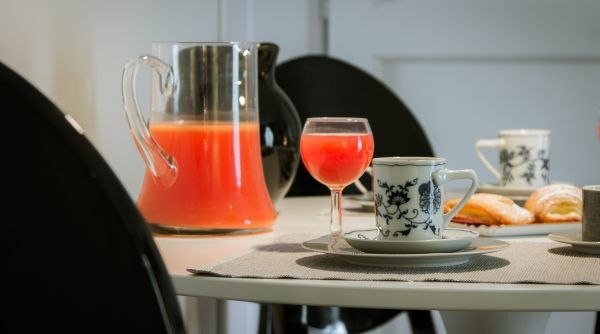 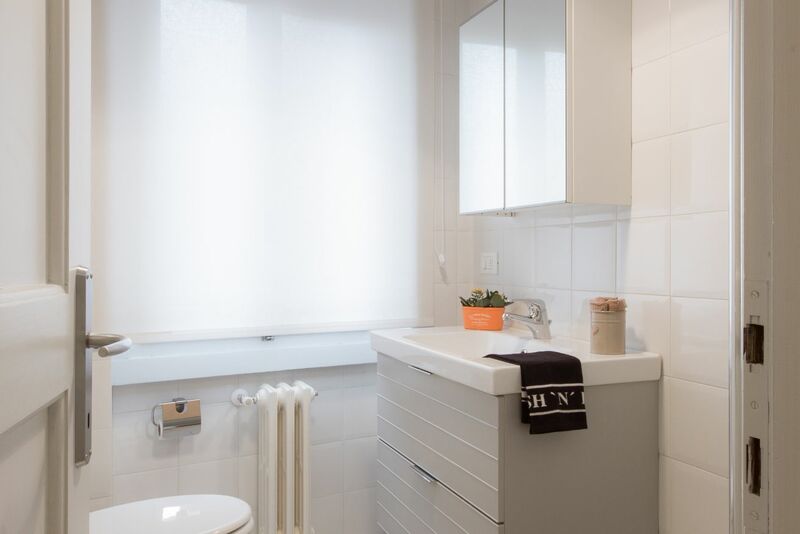 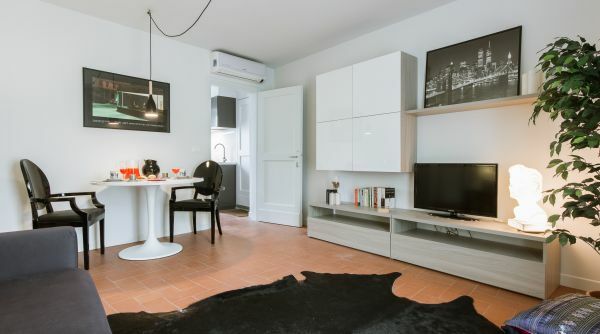 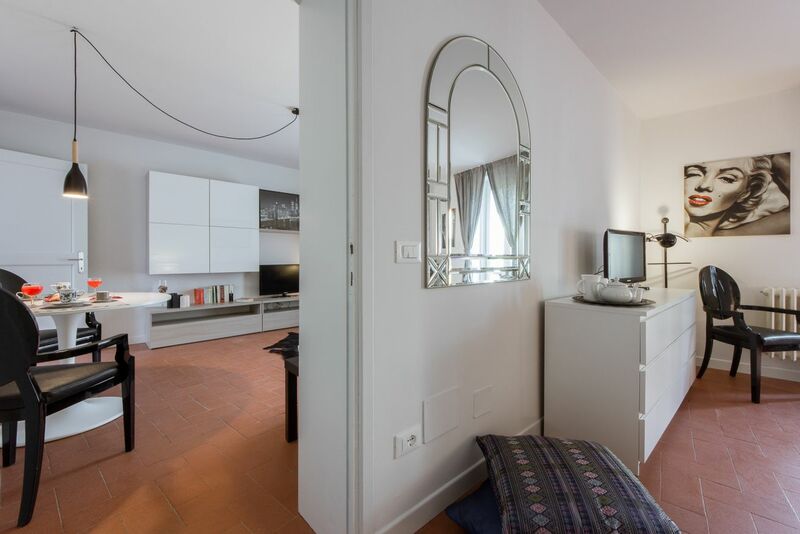 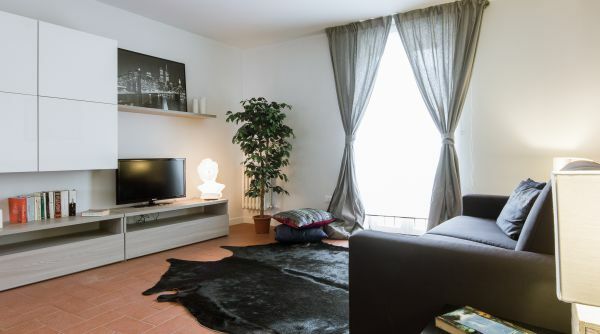 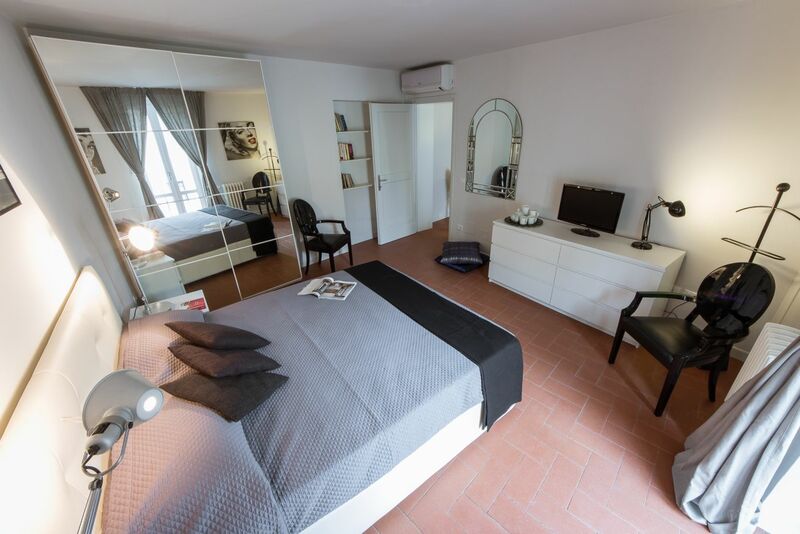 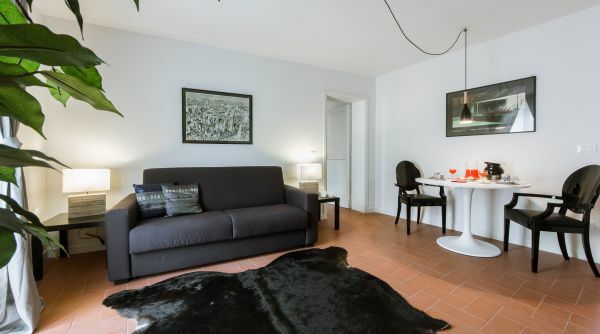 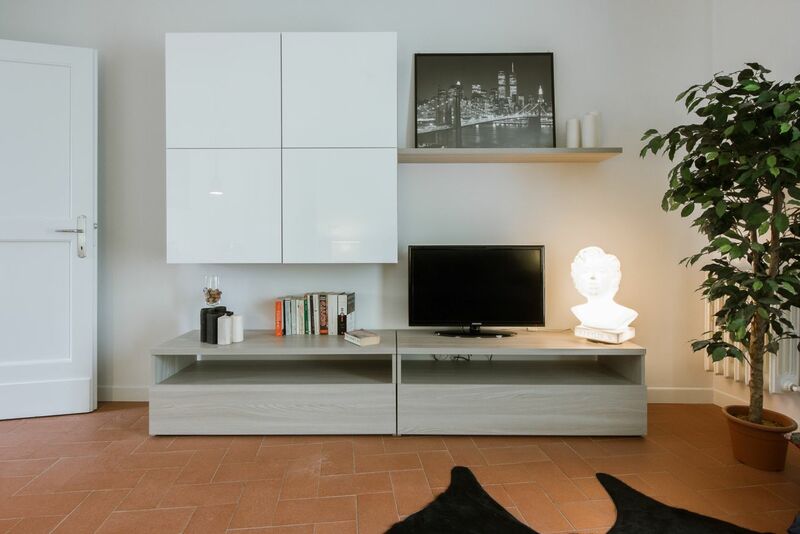 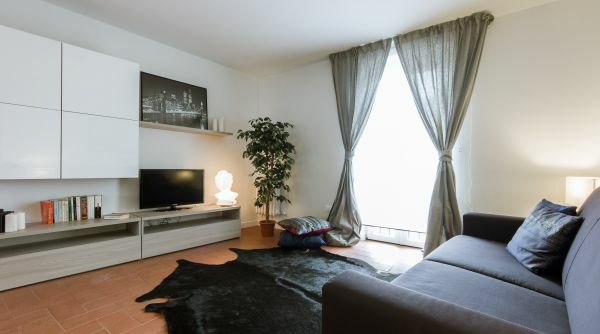 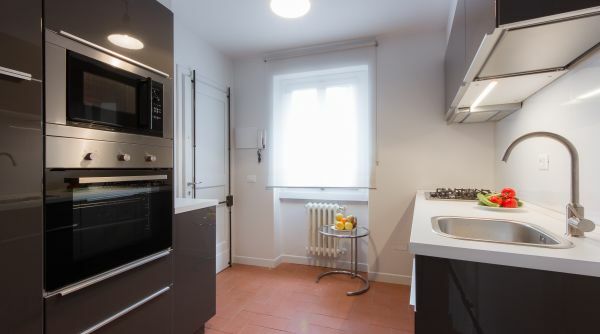 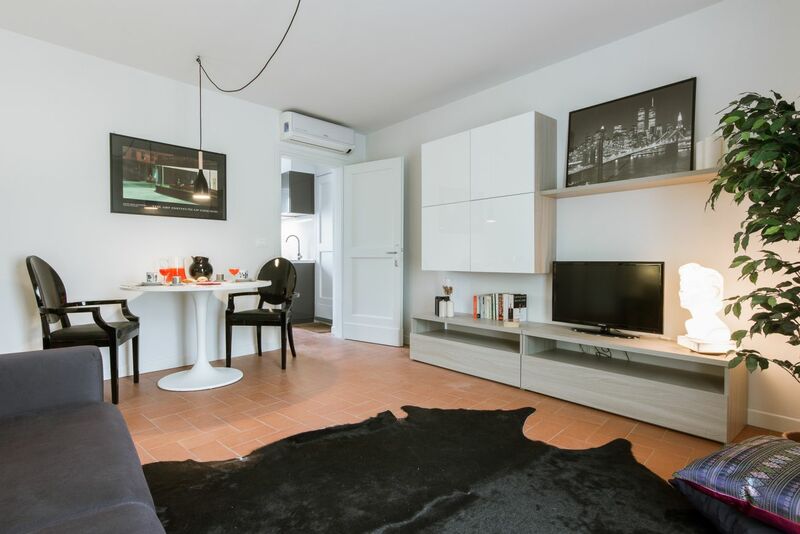 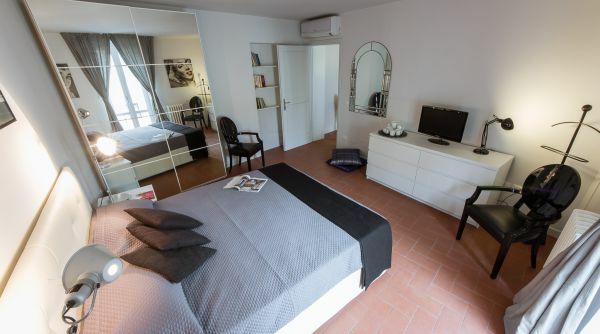 This apartment is positioned at the beginning of Via Senese, a 2-minute walk from Porta Romana. 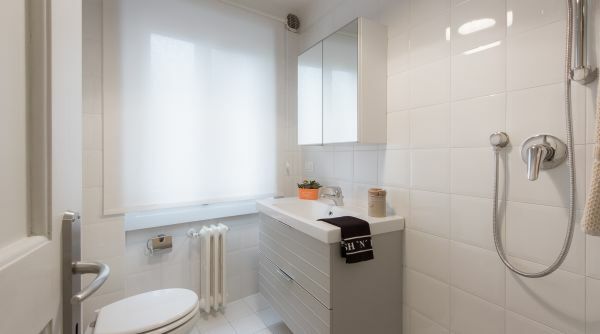 It is out of the ZTL zone, which can be very convenient for parking. 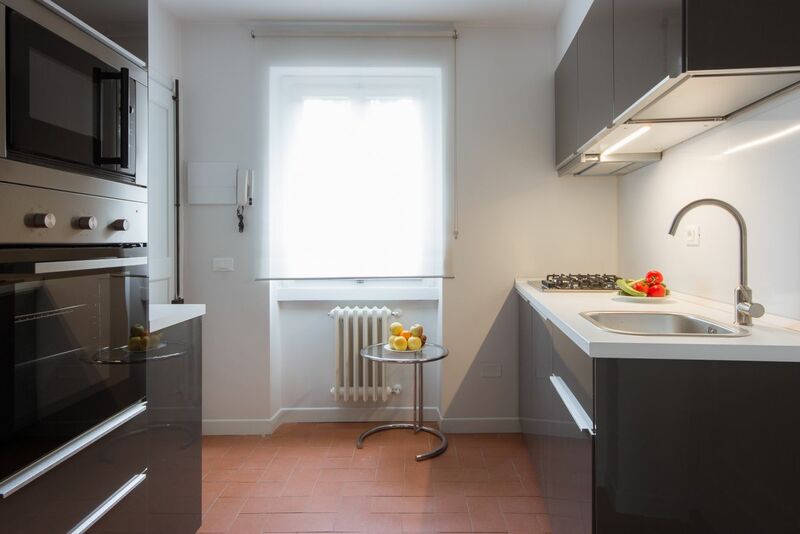 Since it is a residential zone, there are supermarkets, traditional Italian trattorias and bars very close by. 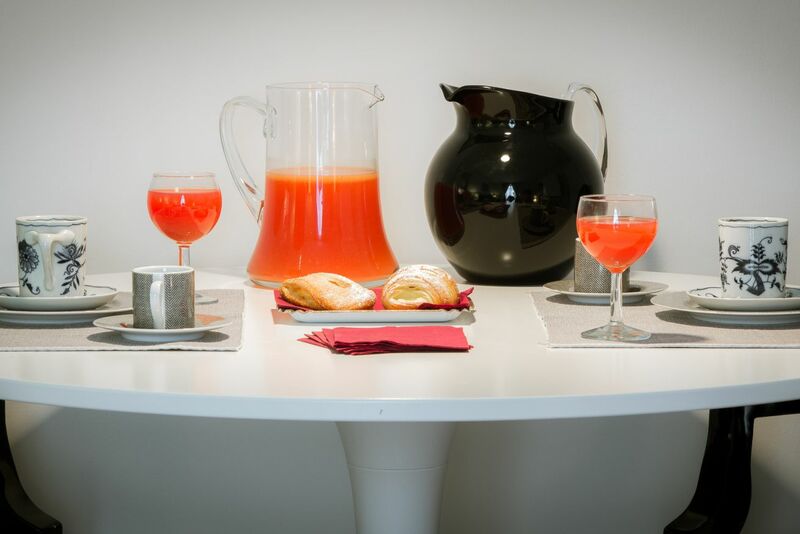 But at the same time you are close enough to the centre – a 15-minute walk to Palazzo Pitti and the Ponte Vecchio, from where you find yourself in the heart of Florence. 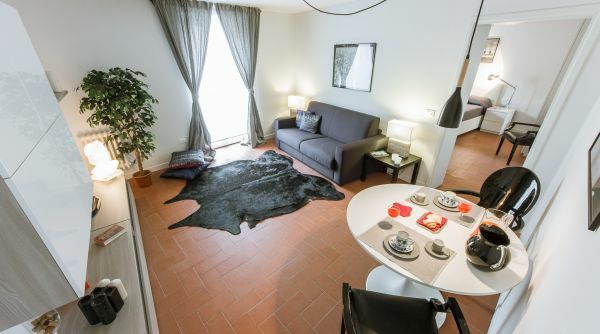 The apartment is on a first floor with very few stairs. 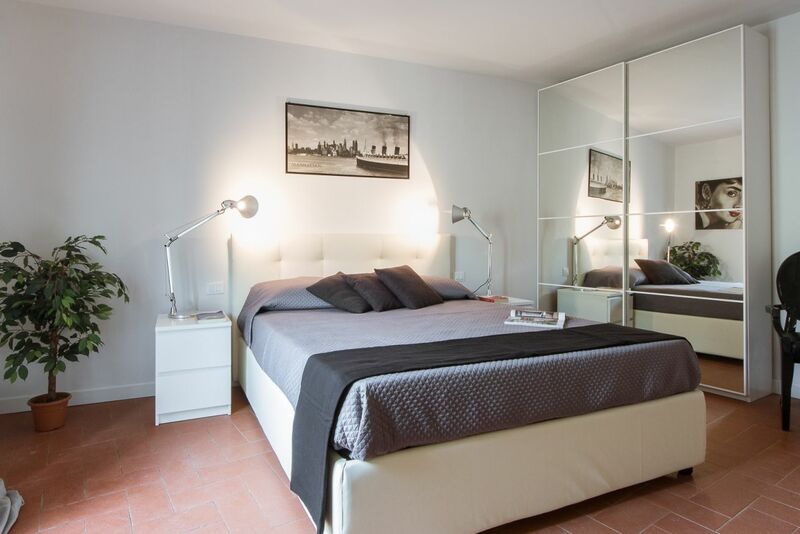 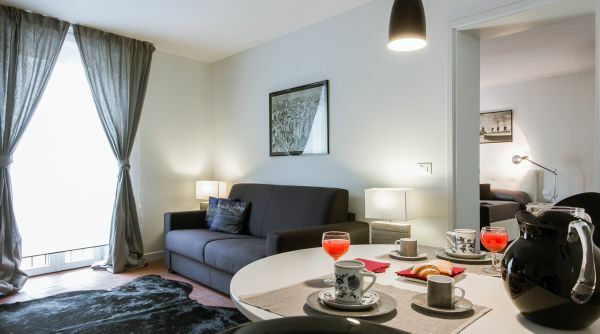 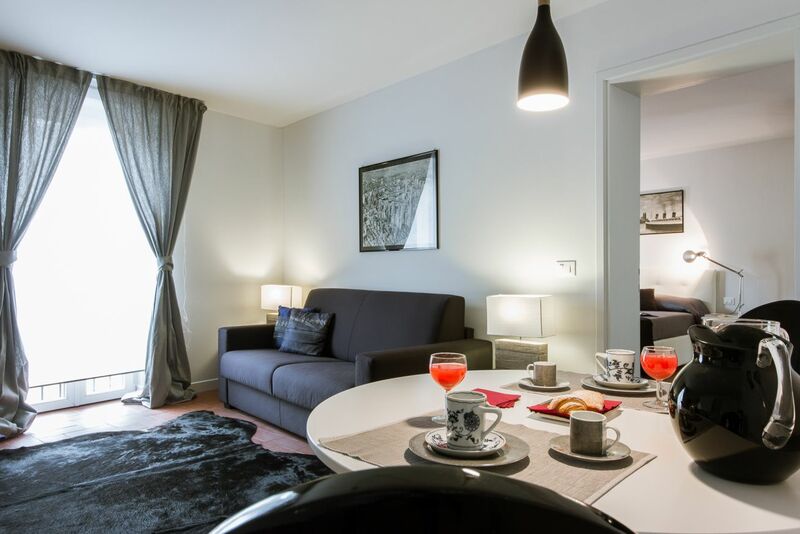 It consists of a spacious living room space, a large bedroom, a fully equipped kitchen and a bathroom. 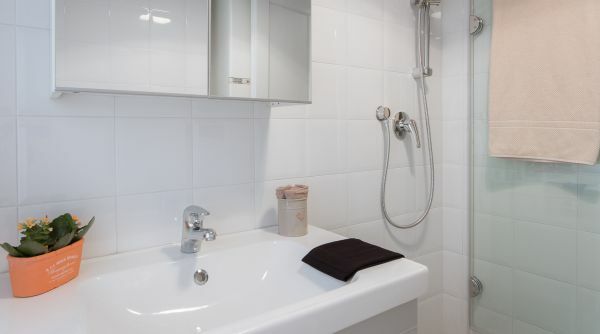 The floors are tiled, and there is AC throughout the property. 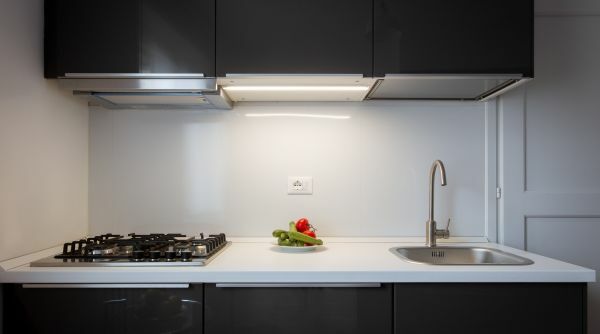 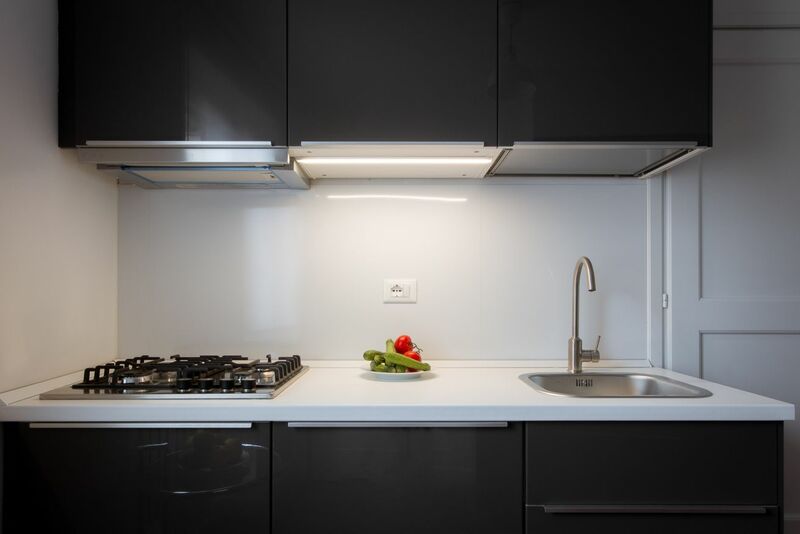 As you walk into the apartment, you find yourself in the contemporary kitchen which guarantees simplicity and comfort. 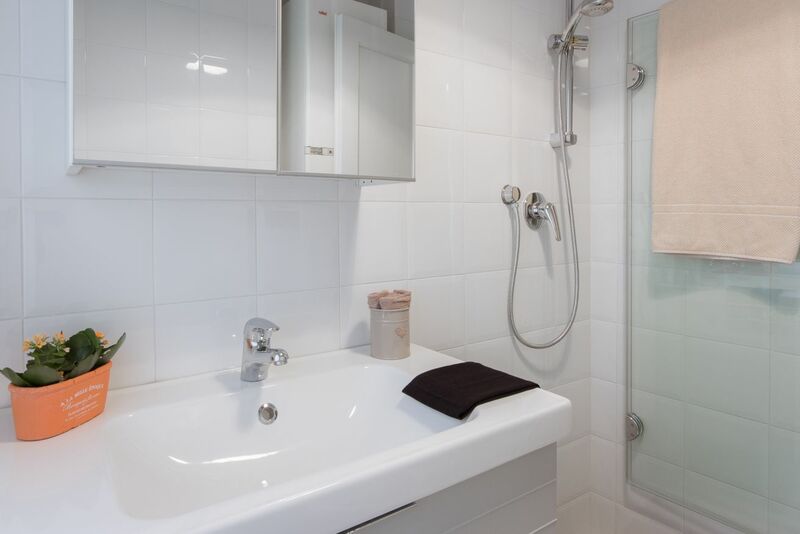 It is fully equipped with all the amenities of a real home, including an oven, microwave and a large fridge. 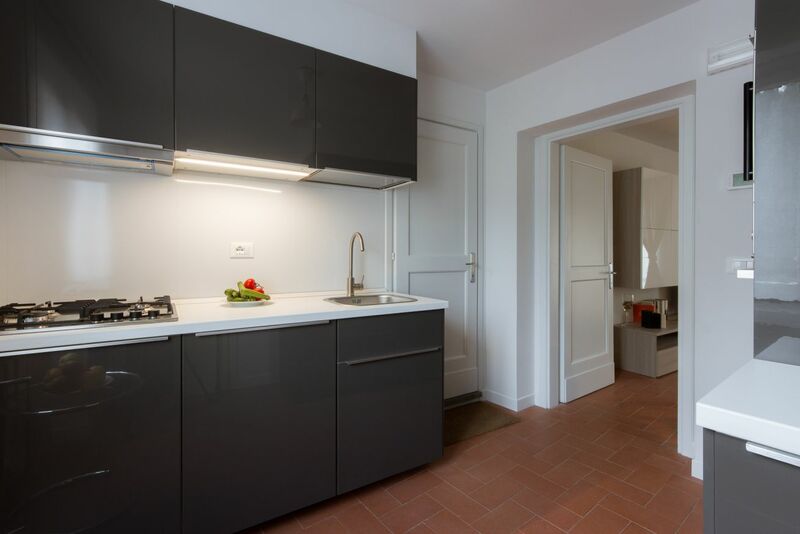 There are many cabinets, which make the space ideal for long term stays or guests who love to cook at home. 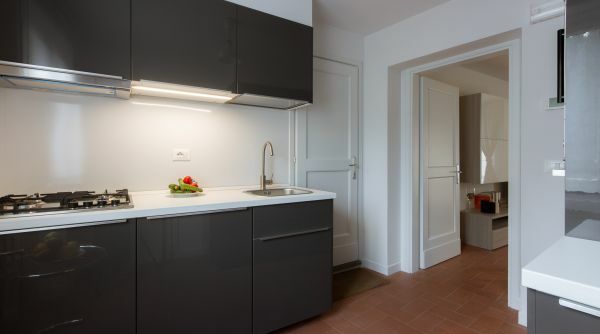 The kitchen leads to the spacious and bright living room, which faces the main street but is quiet nonetheless due to the newly installed double glazed windows. 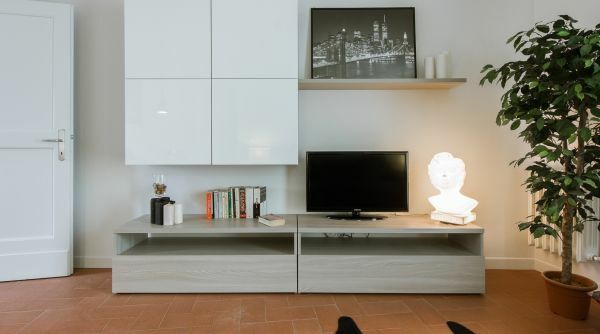 Here you will find a double sofa bed, a large smart TV, and lots of bookshelves/storage space. 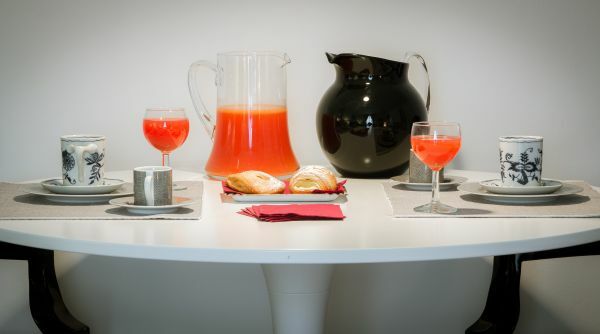 There is also a round table for 4, which makes this area great for group activities. 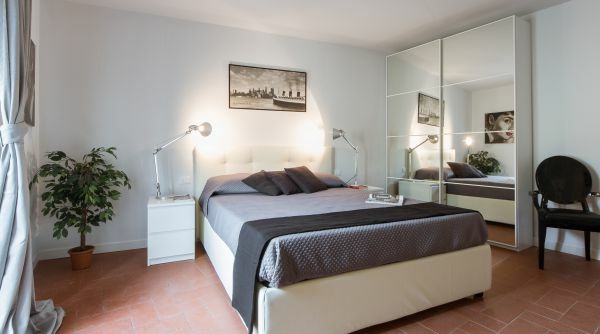 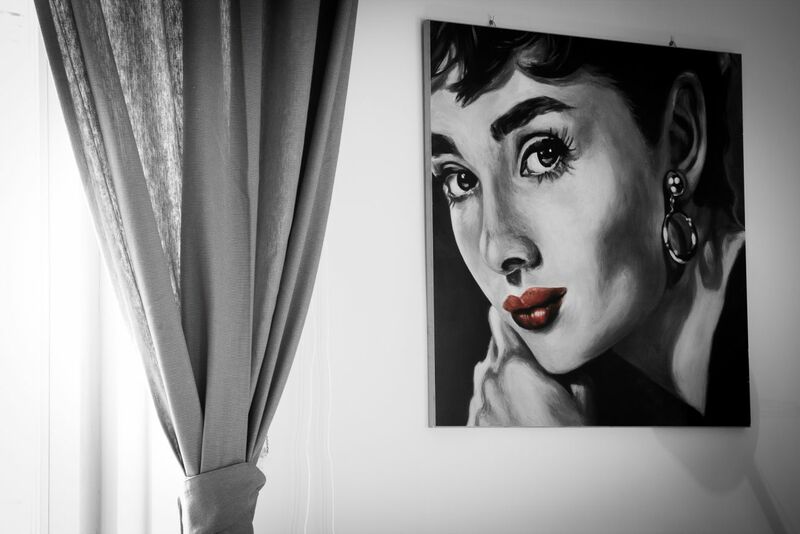 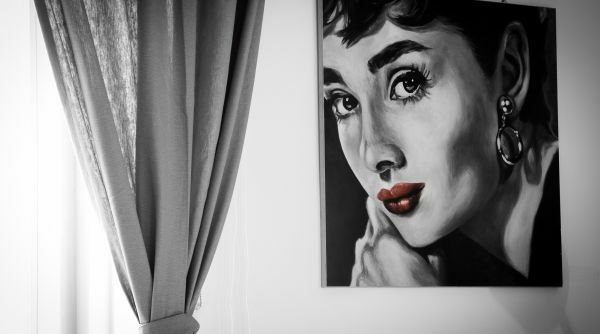 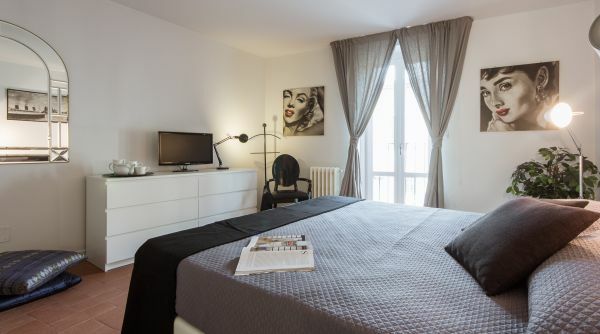 The bedroom is elegantly decorated in a chic style, ideal for one person or a couple. 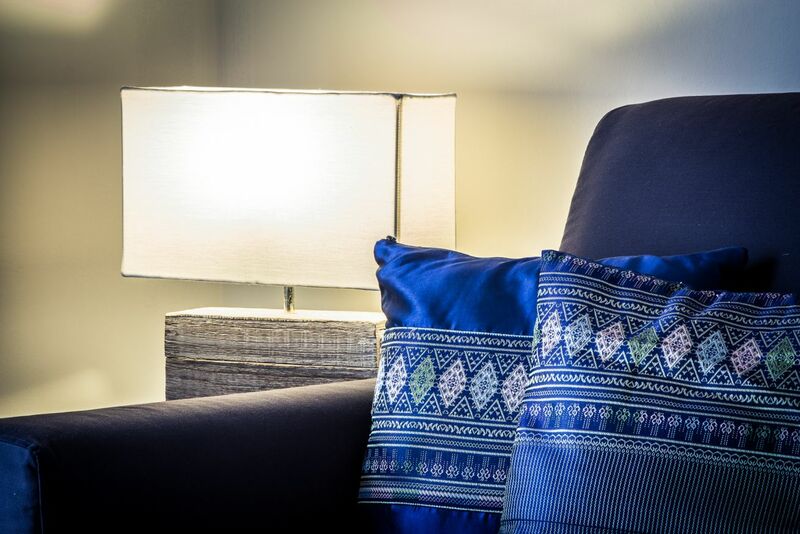 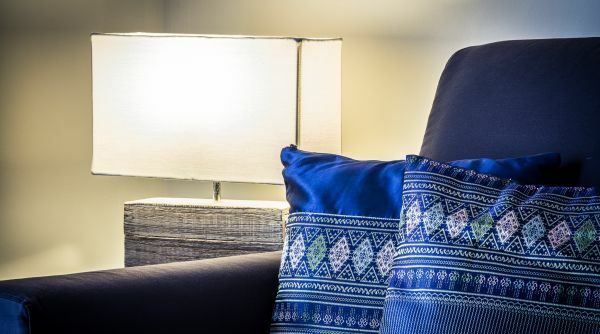 The windows are double glazed here as well so the space provides the ideal conditions for a peaceful and relaxing stay. 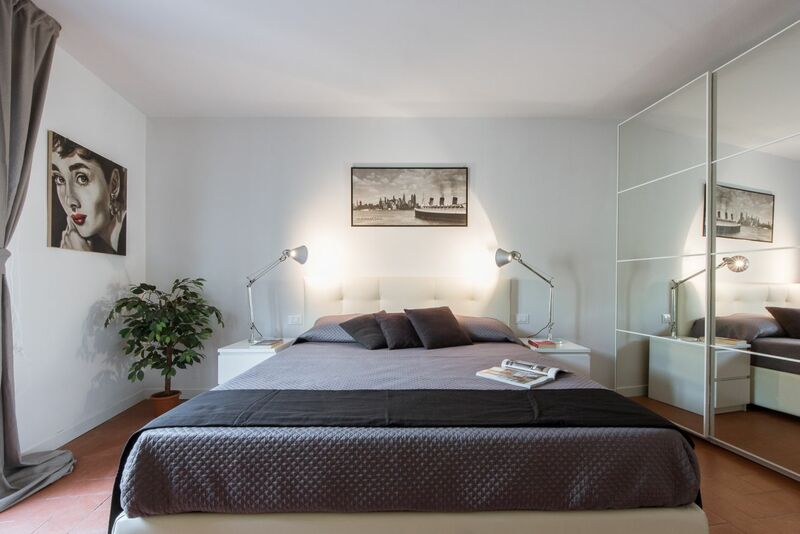 The storage space is adequate for long term rentals - there is a large closet and a drawer chest. 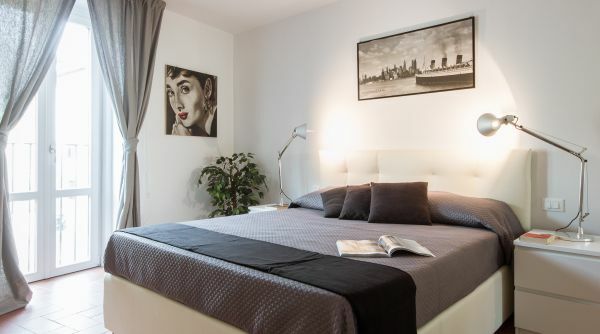 There is a double bed with a comfortable mattress and pillows. 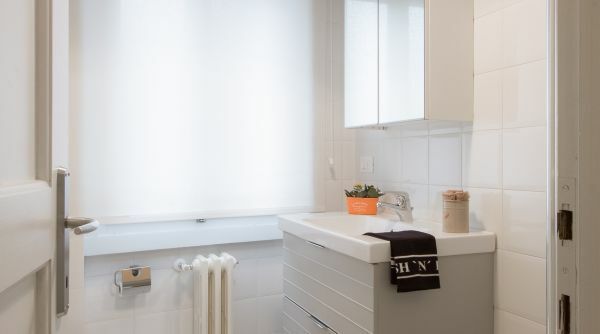 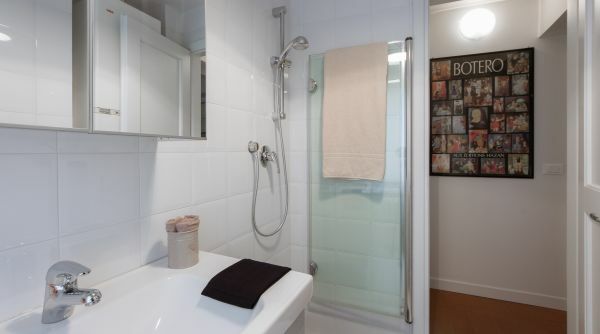 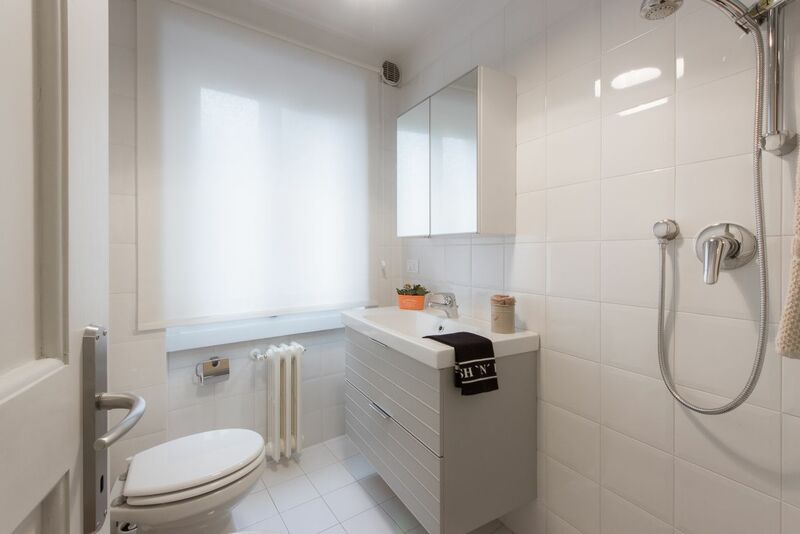 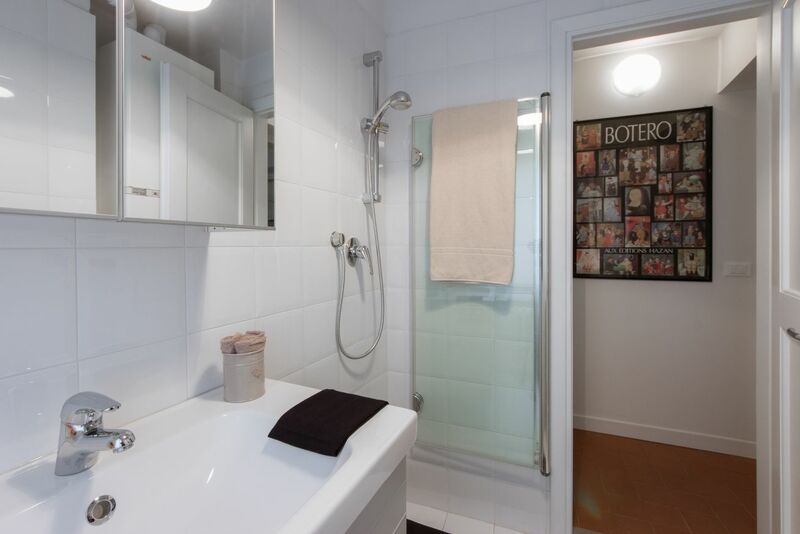 Despite its modest size, the bathroom is also renovated with a fresh, clean feel and is thought out in a practical and smart manner.